We have such interesting perceptions of God. Some people think God is up in heaven waiting for us to make a mistake. And when we do, He’s quick to judge us and mess up our lives. God’s up there watching and as soon as we mess up He’s going to zap us. But in reality as we read the Bible the facts are very different. We have to have our facts right. I love this story reported by the Associated Press: Linda Burnett, a 24 year old woman pulled into a grocery store parking lot. When a guy pulled up next to her he noticed she was sitting with hands up over behind her head. She wasn’t moving. He thought that was odd. He taps on the window and says, “Ma’am are you alright?” She exclaimed, “I’ve been shot in the head and I’m holding my brains in. Call 911!” He calls 911.The paramedics and police come. She has her hands up on her head and she won’t roll the window down. They bust through the window to get through the car. Here are the facts: She pulled into the parking lot of the grocery store and a can of biscuits in the back seat of her car exploded due to the heat. When it exploded it made a sound like a gun. It hit her in the back of the head with significant force. When she reached back to touch the back of her head she touched the biscuit dough on her hand and was convinced someone shot her on the back of the head! There are people in our world that are paralyzed by their view of God. It’s like they are sitting in life with their hands locked behind their head saying, “I can’t go to church. I can’t serve God because of what I’ve done, because of who I am or what has happened in my past. I’m not good enough. I’m not worthy.” I talk to believers who are paralyzed with a sense of guilt because, “I should know better. I’ve been a Christian my whole life but I still fall. I’ve been a believer but I still make mistakes.” Many people carry this guilt around. What God desires for us when we fall is to return to Him. He doesn’t want us to be paralyzed with fear. He is ready to forgive us. We have to get our facts straight when we think about God. I can’t imagine the heartbreak of seeing my wife Niki chase after other men. Some of you know what unfaithfulness feels like. God does too. This is why Hosea was written. It shares how God feels. The important question is, “what now?” What will God do? Will he zap us? No, God is faithful and forgives us when we are unfaithful. Let’s look at God’s response to His people and even our own unfaithfulness. Wait a minute, they just had another spiritual affair on You. They have turned their backs on You repeatedly. They have forgotten about You. They have denied You. They have worshiped other gods. And, God says, “I will allure my people and bring them back.” He says, “I will lead her into the desert and I will speak tenderly to her.” God says metaphorically speaking, “I will not turn my back on them. I will remain faithful and they can return to me when they fail.” Isn’t that amazing? I don’t know about you but that fires me up. I start thinking if there is hope for them then there is hope for me. If there is hope for me then there is hope for everybody. No matter where we are in life, if we return to God when we fail, He’ll be there. No matter what ways we have been unfaithful to God, no matter what terrible things we have done, what God asks of us is that we return to Him and He will forgive us. He will allure us to Him; He will speak tenderly to us. That word return when it says that she’s gone after her lovers but she won’t find them and return to me. It has the idea of repentance. We’re going to turn around and live toward God now. We are going to live different lives. He gives us the option and freedom to do that. We can return to God when we fail. Then we can enjoy God forever. In Hosea 2 there is more powerful imagery in verses 19-20. God says this, “I will make you my wife forever.” In that culture there was a bride price. A groom would pay a price to the father of the bride for the bride. He says, “I will make you my wife.” How long? Forever! “Showing you righteousness and justice, unfailing love and compassion.” I will be faithful to you and make you mine, and you will finally know me as the Lord. That word know is used in the Hebrew language for intimate/sexual relations. To know someone – He’s saying you will know me in a personal intimate way. I will marry you forever. That’s incredible imagery. It means we can have an intimate relationship with God for forever. Glen Wolf is a guy who died at eighty-eight years of age in Los Angeles. He died as many people do in our world, alone. There was no one to take care of him and no one to attend to his funeral. He didn’t really have a funeral. He was buried alone. It was a tragic way to end a life. But Glen Wolf had a very unique distinction. He is in the Guinness Book of World Records for the man who has been married the most in his life. Twenty-nine times he walked down the aisle with a different woman. Twenty-nine times he stood and said, “I do.” Twenty-nine times he watched a relationship explode. He died alone. He never learned that love has to be cultivated, nurtured, and matured in the midst of the heartaches and difficulties of life. What the book of Hosea is teaching us is that God, unlike Glen Wolf, will never walk out on us. God will never turn His back on us. He’s there. We may run out on Him, but we should to return to Him. Return to Him when we fail. Enjoy Him forever because He’s there for us. He loves you and me and wants to be in this relationship with us. Can we accept God’s forgiveness and unending love? I want to and hope that you can too. 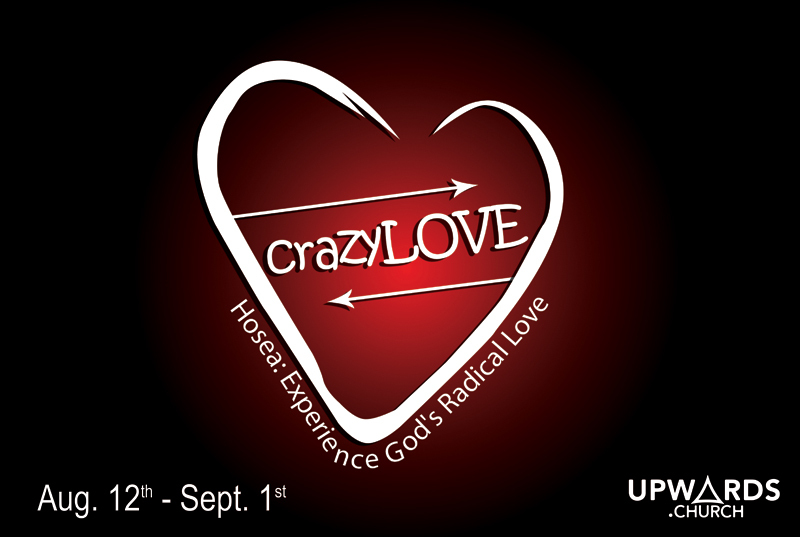 This entry was posted in Crazy Love (Hosea) and tagged forgiveness, God's Forgiveness, marriage, unfaithfulness. Bookmark the permalink.